Charming 3 Bedroom, 1 bathroom home with a multi-functional bonus room is available for lease starting April 15th. Perfectly laid out with an open easy flow, living room with bay window and wood-burning fireplace. Stunningly remodeled kitchen with stainless steel appliances, soft-close cabinetry, and tons of counter and storage space. Other features include hardwood floors, recessed lights and vinyl windows throughout. 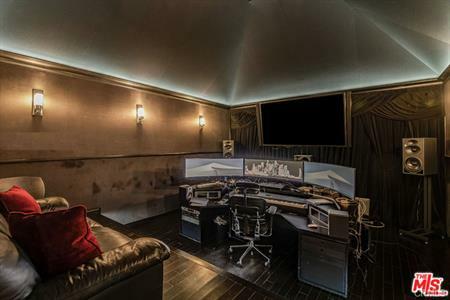 The bonus room is built as a recording studio with a control room and iso room, but could be an office, guest quarters, or a separate storage space. Expansive covered rear patio and grassy yard with fruit trees offer space for entertaining. Extra storage in the attic as well. Ideally located near 101 and 405 freeway junction, parks, playgrounds, and a weekly local farmers market. Mid-century home with delightful craftsman style touches. Open beamed ceilings and wood floors throughout. Two bedrooms and 1½ baths with an added family room makes this home almost 1300 s.f. per sellers. Kitchen updated in 2017 with all new granite counters, cabinets, appliances and floors. 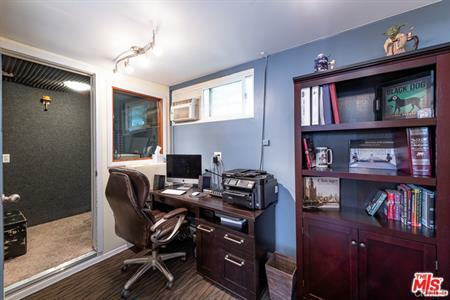 Second bedroom has a built-in Murphy bed which makes it a great daily office space/guest room when needed. The garage was finished to a gym/utility room/office space but can be easily converted back to a garage. Lush back yard with fruit trees has an expansive deck for entertaining. 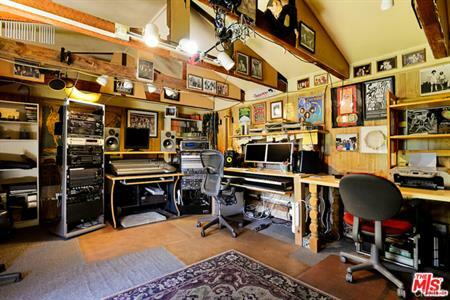 A rustic cabin in the backyard is a working recording studio that many successful artists that have recorded in over the years! The property has 2 large storage sheds. Charming home, set back off the street, quiet and private, it offers great curb appeal with beautifully landscaped front yard ran on low water/cost irrigation system. Approx. 2000 sq ft. with open spacious floor plan. Living/dining room with vaulted wood beamed ceilings, corner fireplace and hardwood floors. Bright kitchen with stainless steel appliances and breakfast area. 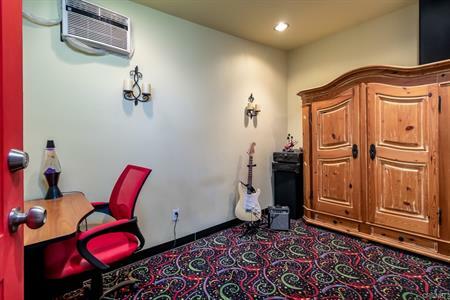 The bedrooms are large and comfortable with ample closet space, plus a soundproof bonus room ideal for a music studio/media room. Updated HVAC unit and duct work. Dual-pane Milgard windows throughout. plantation shutters, copper plumbing, whole-house water filtration system and a standby generator. Attached 2 car garage + large 6 car driveway, room for RV. Close to award winning schools, studios, shopping and dining. Situated on a sweeping corner lot this wonderful farmhouse style home has mature sycamore trees and California friendly landscape. 4 bedrooms and 2 bath home with formal dining room with wainscoting and beautiful diamond pained windows. Living room with gleaming hardwood flooring, vaulted beamed ceiling, stoned fireplace with sliding doors that lead to a large sparkling pool. Master bedroom with brick fireplace. 4th bedroom loft is perfect for children's getaway, bedroom, office, etc. 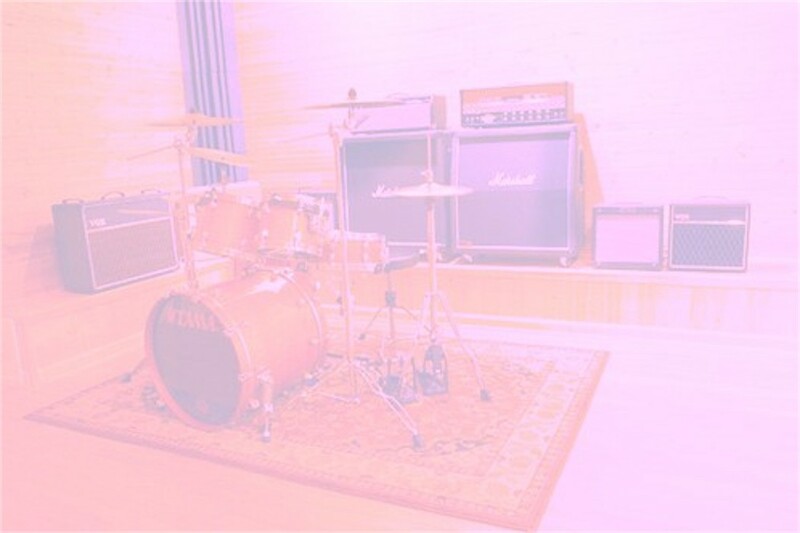 Converted garage was previously set up as a professional sound studio. Den with 3rd fireplace and sliding doors leads to backyard. Great home for a family and entertaining. 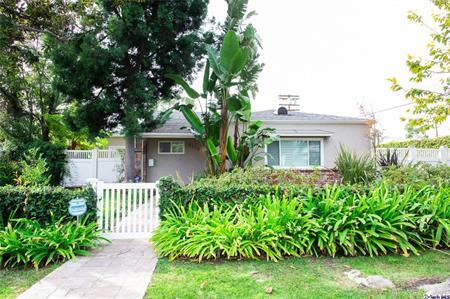 Absolutely charming family home located in the desirable Burbank Hills. This home features an ivy covered carport, paved stone driveway, lush landscaping, a formal entry and large living room with hardwood floors, fireplace and vintage crown molding. The formal dining room opens to a gorgeous kitchen with custom cabinets, stainless steel appliances and wet bar. The kitchen connects to a family area with a double door entry to a covered patio and yard. The three bedrooms are spacious with a large bath and spa tub. French doors from the master lead to this private sanctuary. Added features include solar panels and a voice-over studio/office in the converted detached garage. Perfect for entertaining, this home has it all. It is a true gem! Situated in the hills of Burbank with breathtaking views, this classic contemporary home features living and dining rooms, which open onto an expansive balcony with views of the Hollywood Hills and Burbank. The galley kitchen is conveniently located between the dining room and den, complete with built-ins. Also upstairs is a guest powder room and gorgeous master suite retreat, which provides balcony access. Downstairs includes a uniquely designed family room with an '80s vintage bar - which leads into a full recording studio, an amazing space for professionals to work. Three bedrooms share a large bathroom downstairs, which also includes a full laundry room, extensive storage, and a sun room opening onto the patio and backyard. This home has so much to offer and is an absolute must see! Pristine and charming home located in Toluca Woods. It has 3 spacious bedrooms and 2 large bathrooms. The living room and dining room have a large open floor plan with beautiful dark wood floors. The kitchen has ample cabinets and storage space with an amazing wood beamed ceiling. Freshly painted family room, with hearty stone fireplace. Master bedroom with beautiful wood beamed ceilings, large walk-in closet and sliding doors that lead to the backyard. Large master bathroom has a separate tub and shower. 2 Bedrooms have sliding doors that lead out into a quaint side yard. 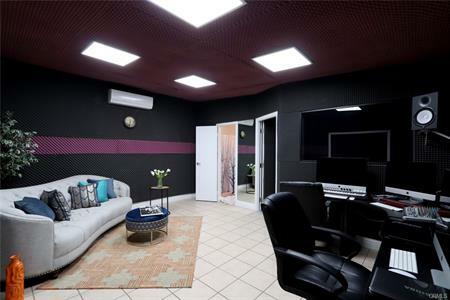 Music room with vocal booth. The bright and airy sunroom can be used as an office that leads out to an amazing backyard. There is a large separate laundry room that is great for storage. 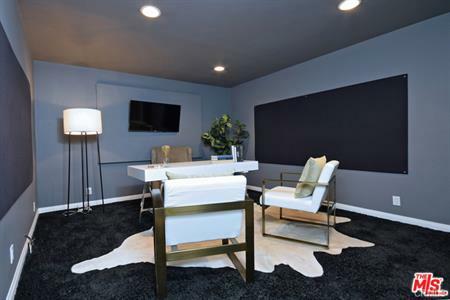 A stunning, extensively remodeled home located in the highly sought-after Library Square area of Sherman Oaks. White picket fence and beautiful front garden. Featuring 3 Beds, 2 Baths, an open dining/living area with a fireplace. Updated chefs eat-in kitchen with quartz counters, stainless steel appliances and skylites. Updated baths, wide plank floors, base/crown molding, inside laundry. 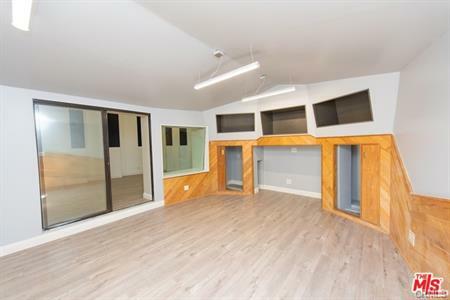 Detached garage converted to a music recording studio with an attached guest unit complete with kitchen and ¾ bath. Spacious backyard with gorgeous deck overlooking a lush garden and a rear yard that includes a pergola and patio. Central ac/heat, dual pane windows, Nest, newer electrical panel and a tankless water heater. 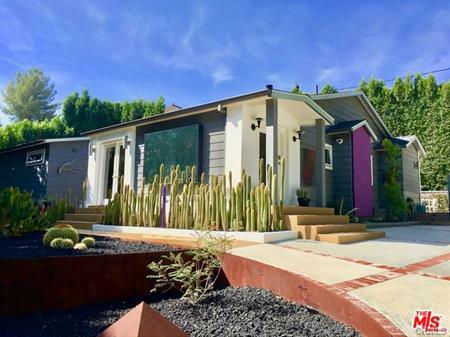 Thoughtfully remodeled home in a tranquil neighborhood adjacent to the NOHO arts district. Minutes from the new and upcoming NoHo West shopping center coming this Summer 2019. 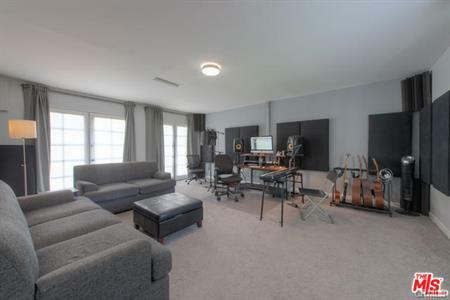 The property has a detached music studio in the back perfect for anyone in the music/film industry or multiple uses with endless possibilities. New flooring, paint, cabinets with stainless steel range/microwave and dishwasher. Spacious backyard ideal for gardening and entertaining. Owner may consider sale Located hillside with awe-inspiring views sits this charming traditional home enriched with a music hit-making past. 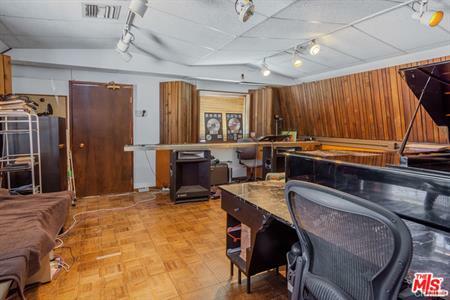 This home's music studios have been the site of production for a number of record breaking songs and albums. Additional features include an expansive pool, two sound proof recording studio spaces, close proximity to nature trails with wildlife, two street entrances, five parking spaces and moments from Sherman Oaks shops, restaurants and more. Make this home your own and usher a new era of memories and history! Exquisite home with professional music studio and salt water pool. 5 bedrooms, 4 bathrooms, stunning formal living room with elegant onyx and marble fireplace, porcelain tile flooring and recessed lighting. Gorgeous gourmet kitchen with custom maple cabinetry, merlot red granite counter tops, chefs prep island and new stainless steel appliances. Spacious upper masters suites both with huge walk-in closets, redwood floors, fireplaces and high vaulted ceilings. All bathrooms are beautifully updated with sleek modern cabinetry, lighting, glass shower doors with designer hardware. 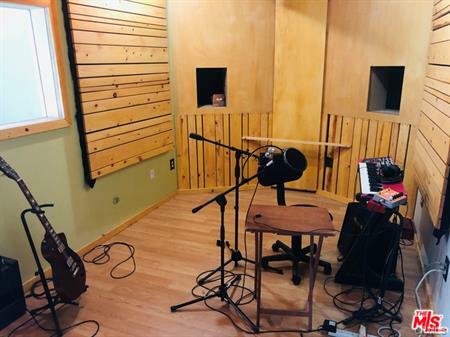 Music studio has sound proof panels, separate recording booth and AC/heating system. Amazing backyard with salt water pool done 3 years ago with over $150k spent! Stunning cabana and outdoor living area with mosaic tile, built -in BBQ center/bar and covered patio with lighting system. New front drive way with brick paver stones. Excellent Magnolia Park location! Live, create and entertain in privacy in this secluded gated Modern style 4 bedroom, 4 bath retreat nestled in the hills of Sherman Oaks. Light-filled open layout with valley and city light views. Upstairs, two en-suite bedrooms include the spacious master suite with double walk in closets, spa-like bath and views. 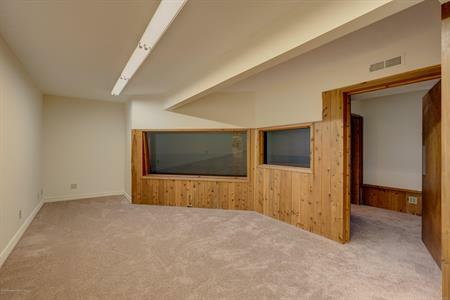 Downstairs, the flexible 2 bedroom layout can accommodate guests and work as the owner set up one bedroom as a perfect music recording studio. 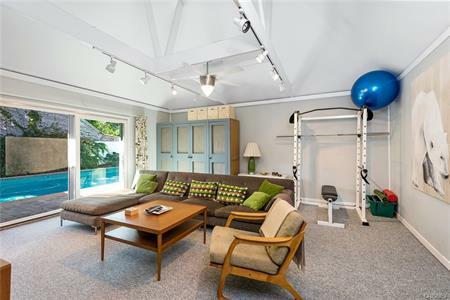 Also, a plush 10 seat home theater and a separate small gym/yoga studio. Fantastic veranda for entertaining or dine al fresco or under the stars and cantina lights on the expansive wood deck below. There's large grassy yard, bocce ball court, and room for a pool area to top it off. Outstanding location with close proximity to Ventura Blvd, shops and dining. Charming Toluca Lake Tudor. A private oasis on a very large lot, minutes from the studio corridor. This wonderful, single-story, gated family home has dark wide-plank hardwood floors and ceiling beams, spacious living room and sunroom share a double fireplace (decorative only). English-style kitchen features a copper Chambers gas range, granite countertops, tumbled stone hood, custom floor, farm sink and built-in banquette. Master has a walk-in closet and bathroom with double marble vanity, claw foot tub and frameless glass shower. Roomy guest bedrooms with a full bath. State-of-the-art, soundproof recording studio and screening theatre, gated entrance and 1/2 bath. Property includes a large motor court, finished garage with 1/2 bath, lagoon-like pool and waterfall, tropical landscape, beautifully tiled built-in BBQ island and a sports court! Gated, private and secure mini estate with freshly re-designed dramatic drought resistant landscaping and lighting. Fully updated home with hardwood floors, auto-skylights, smart house system controls electric shades, temperature, lighting, doors, etc. Kitchen has all upgraded appliances with a hidden 1,000+ bottle wine cellar. Sliders from bedrooms lead to striking weatherproof decking and private heated pool and spa. BBQ area with outdoor kitchen. New security cameras throughout provides complete room to room oversight of property. Newer roof, electrical, plumbing, HVAC, systems, etc. Out buildings include office/studio and a music recording room.